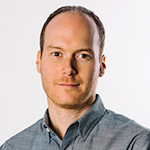 Daniel Rattner has joined Guru Studio as Senior Director of Marketing. He joins from Mazu (JBFSports) where he was Director of Marketing. Prior to that he was Director of Marketing at PlaySmart Labs and Global Brand Manager at Spin Master.